Choosing a gift for the gentleman in your life does not necessarily mean purchasing an expensive watch, pair of designer socks or a coffee mug branded by his favourite football team. Why not consider a gift which improves his look, his sense of well being and offer him the tools to enjoy a life-long hobby? 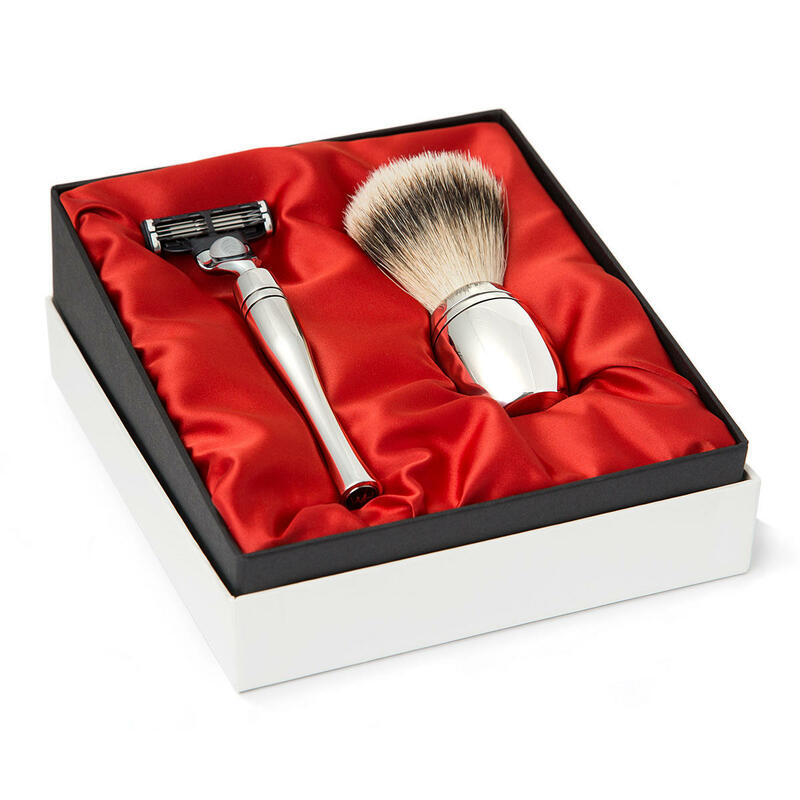 May we suggest investing in a quality shaving razor and badger hair shaving brush as part of a shaving set gift? A high quality luxury razor and badger hair shaving brush(*) set make perfect gifts for a gentleman’s birthday, wedding anniversary, Christmas present and of course, for Father’s Day. 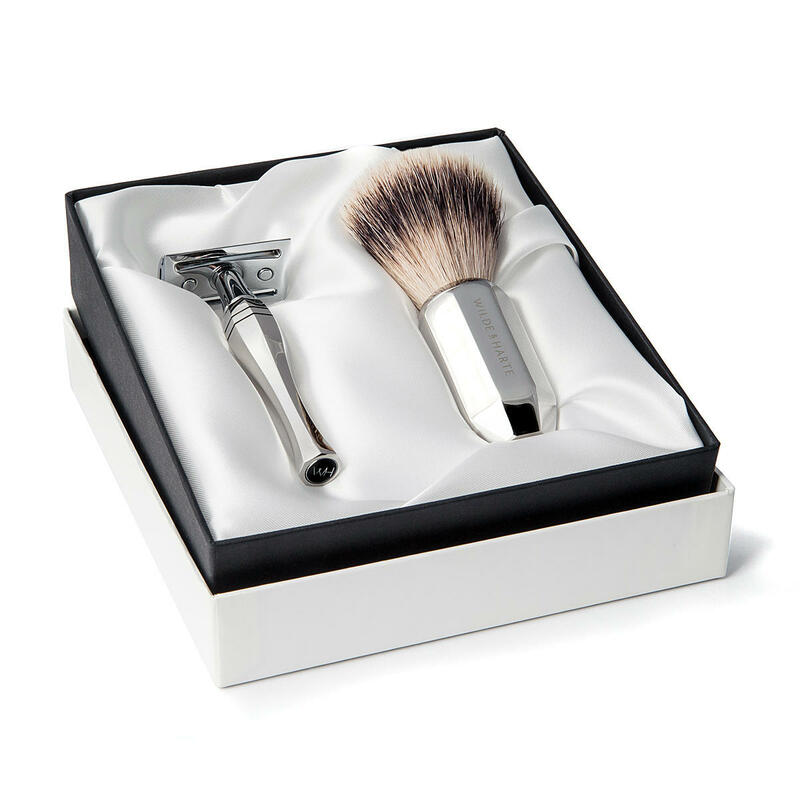 Wilde & Harte shaving sets are available as a traditional shaving set gift, or a contemporary shaving set gift. Each razor and shaving brush is designed, manufactured, polished and packaged in the UK. Wilde & Harte traditional shaving set gifts present a double edge safety razor (shaving with a safety razor is becoming very, very popular with gentlemen again) and a badger hair shaving brush(*). Both items feature Art Deco influenced handle designs which are manufactured from stainless steel, then hand polished to a mirror finish and packaged in a luxury satin bedded gift box. Wilde & Harte contemporary shaving set gifts present a choice of Gillette Mach3 or Gillette Fusion razor and a badger hair shaving brush(*). Both items feature contemporary handle designs which are manufactured from stainless steel, then hand polished to a mirror finish and packaged in a luxury satin bedded gift box. Furthermore, with a host of shaving accessories and skincare products available from many leading health & beauty brands to improve the wet shaving experience, you will have gift inspiration for many years to come!